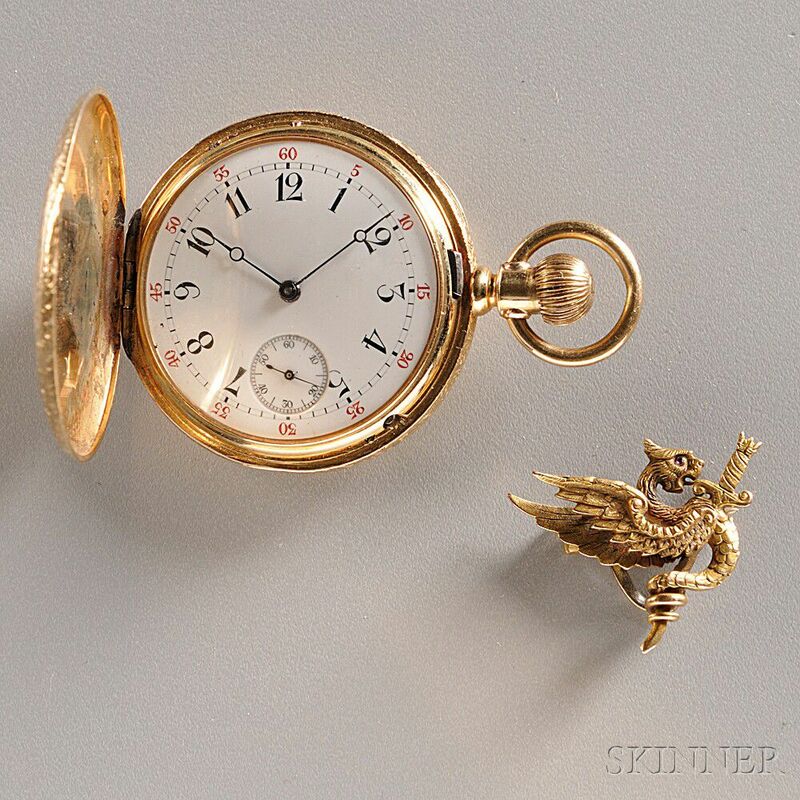 18kt Gold Lady's Hunting Case Watch, Grogan & Merz, Pittsburgh, Pennsylvania, No. 40273, c. 1883, the enamel Arabic numeral dial with red five minute markings, sunk seconds, blued Breguet-style hands, fully engraved case, cuvette engraved with name and date, stem-wind, lever-set, shaped damascened nickel three-quarter-plate movement marked Grogan & Merz, Pittsburgh, Pa., with a pin of a dragon on a sword, dia. 40 mm. Watch is currently running. Smalll dial scratch between 25 and 30 five minute marking.